If you are using Datadog, you know you can log to Datadog using the Windows event log, or by calling the DogStatsD interface on your local agent. When you are running in a non-machine context, such as an Azure App Service, it is likely you won’t be running an agent; so how do you log to Datadog? Using the Hound NuGet package, which provides a LogHound class that logs straight to Datadog. Hound is written in .NET standard 2.0, which makes it pretty portable. You can get started in under 120 seconds using these steps. First, install the NuGet package… there are lots of ways to do this these days, but I’ll show the package manager version here. Feel free to use a package explorer, or your preferred flavour of command. This is for version 0.1.2, which is current at the time of writing. 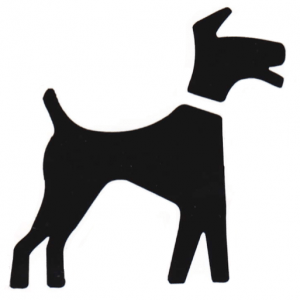 The icon for Hound is taken from the album cover of Park it Where You Like, by 90s band dog! Second, store your Datadog API key somewhere as you’ll need that. I create a custom key so I can control access. You can add a separate key on the Datadog portal in Integrations -> API -> API Keys -> New API Key. You only need an API key and not an application key for Hound. And finally, log your exception. The exception will be logged to Datadog via the API. In the quick start example we wrapped the exception in a HoundException. A better way to write your application would be to put your base custom exception over the top of this class. That way, you can catch unwrapped sub-classes of HoundException, which gives you better output in Datadog. All the usual benefits of having custom exceptions! 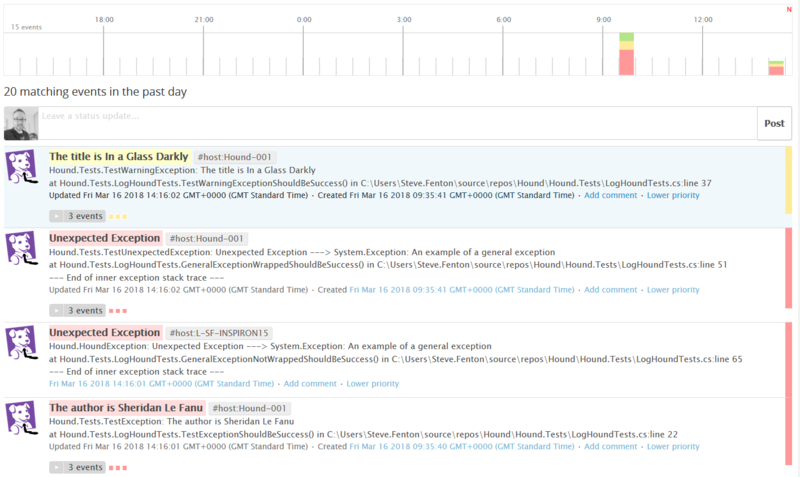 Here is an example of Datadog’s output, with events displayed in the timeline, and grouped by type having been logged to Datadog.